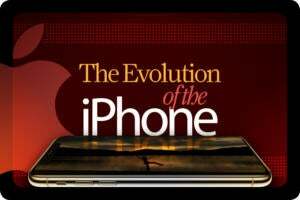 Apple's iPhone X (and XS) models offer a variety of cutting edge features, such as Face ID technology, and they supports native wireless charging – just like the iPhone 8 (and a variety of Android devices). Computerworld reviewed four wireless chargers that can power up both a smart phone and a smart watch at the same time. 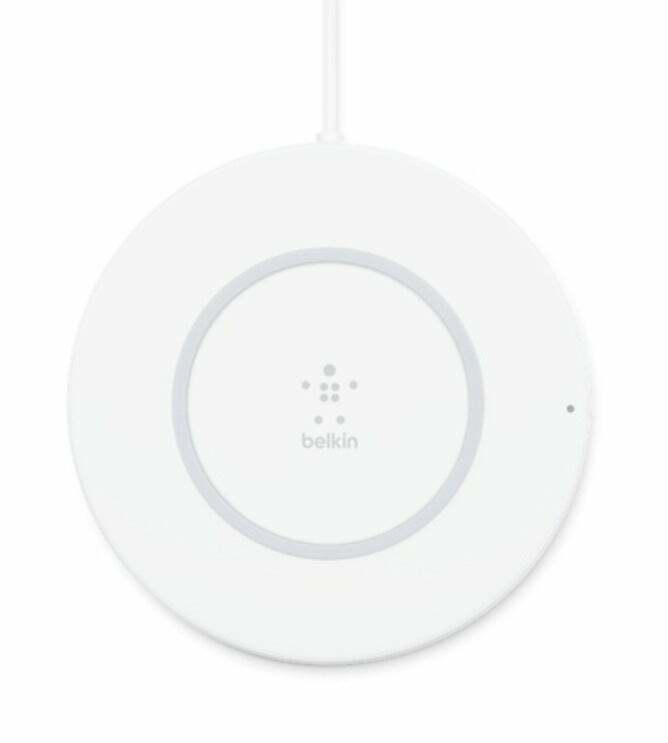 Apple stores sell both Belkin and Mophie brand wireless charging pads, which it claims represents “the best implementation of the Qi standard.” But those models are also pricey (as much as $60) and you can use any pad or dock that conforms to the Qi-wireless charging specification. 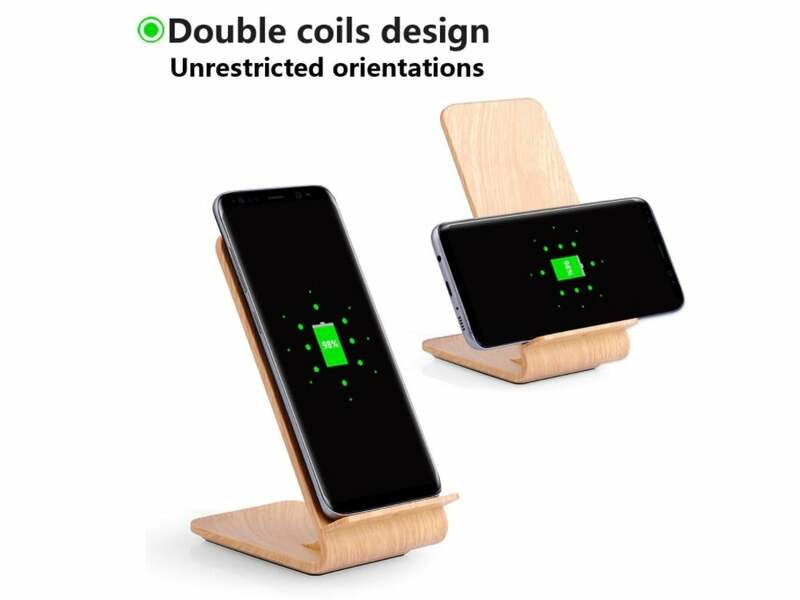 Two things to look for in a wireless charger are an LED light to indicate when the phone is properly aligned to receive a charge and foreign object detection, which ensures foreign metal objects will not heat up if they come in contact with the charging pad or dock. Google's new Pixel Stand is smart looking and offers "fast charging" with up to 10W of power. 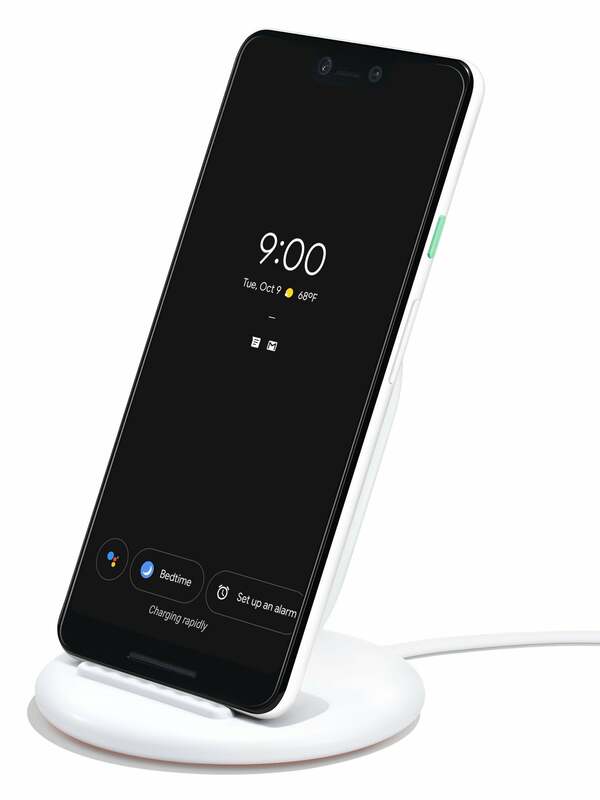 The stand can charge the new Pixel 3 and Pixel 3 XL smartphones (due out Oct. 18) in portrait and landscape positions. 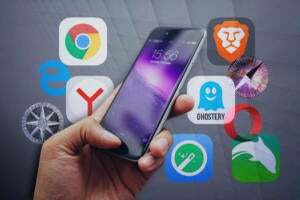 It also integrates with Google Assistant, allowing functions such as "Do Not Disturb" to automatically engage when the phone is placed on the stand, or a Sunrise Alarm that uses ever increasing ambient lighting to wake up a user. The stand comes with a 1.5 meter-long USB-C to USB-C (universal) power cable. 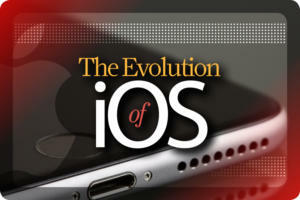 While no official release date was announced, it'll set you back $79 when it finally arrives. 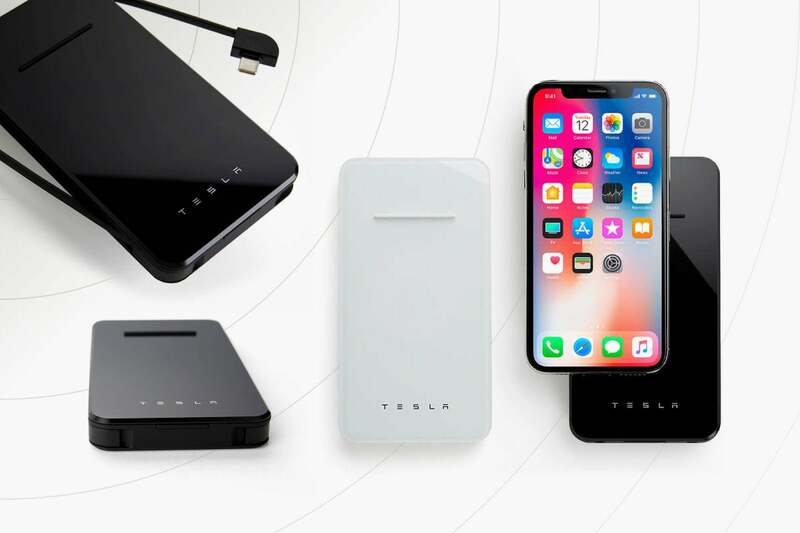 In August, Tesla launched its first Qi-based smartphone charger, which also doubles as a standard wired powerbank using a USB-A output port and either your own USB cable or the integrated USB-C (universal) cable. (The cable fits flush around the outside edge of the charger for storage.) The inductive wireless charger only offers 5W of charging power versus "fast" chargers that can put out 7.5W or more. Regardless of the output, this charger is selling like hotcakes and was recently "relaunched" by Tesla after selling out. The good news? Tesla just lowered the price from $65 to $49 (apparently, selling out in under a month wasn't fast enough). 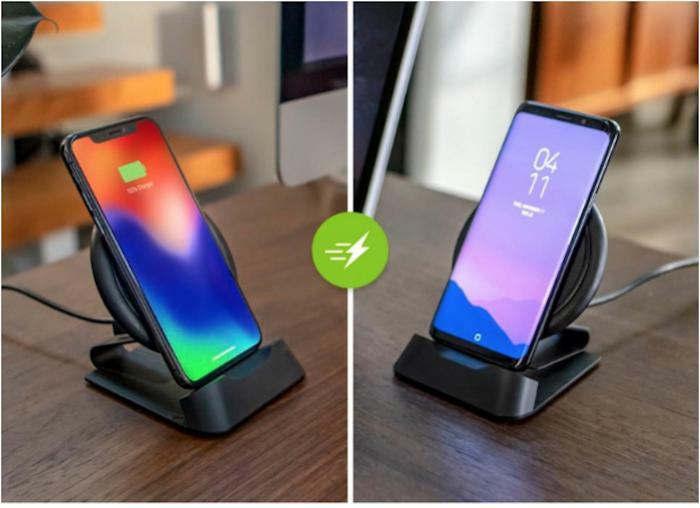 Mophie's new wireless desk stand can charge a phone in verticle and horizonal positions (which can be advantageous for video watching) and delivers up to 10W of wireless power; it's optimized for both Apple (7.5W) and Samsung (9W) "fast charging." The charger can also be removed from its steel frame and used as a traditional wireless charging pad that lies flat on a surface. The charger comes with a 1.5m USB-A to micro USB cable. Price: $70. The Aukey Graphite Lite Wireless Charger is among the most diminutive. It measures just half an inch high and about 3.4-in. square and won an international product design award from the Design Zentrum Nordrhein Westfalen in Essen, Germany. While it may be comely, it only puts out 5W. So, it's at the lower end of the spectrum for wireless chargers. Price: $30. Charging on the cheap should be ChoTech’s motto. 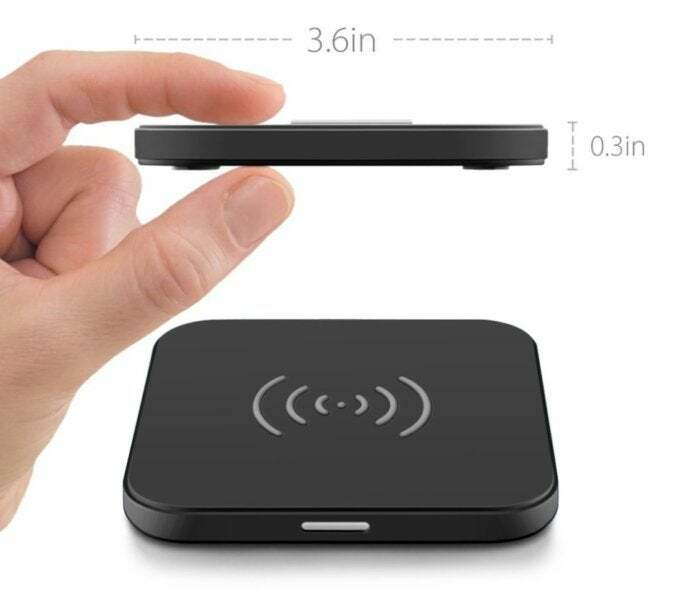 The company sells a Qi-certified wireless charger for just $12.99, and it’s 7.5W “fast charge” compatible. 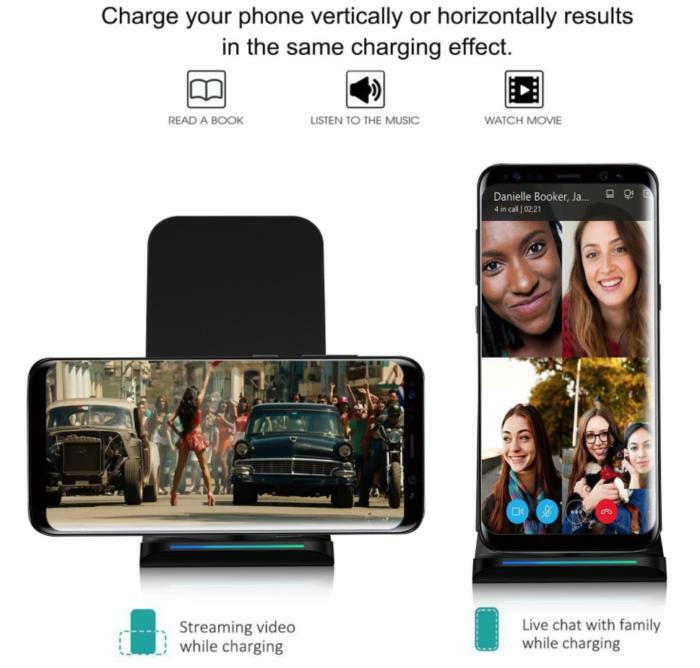 Pleson’s Qi-enabled charging stand will set you back $20, and it allows you to position your iPhone vertically or horizontally so you can either make a call or watch a movie while it charges. 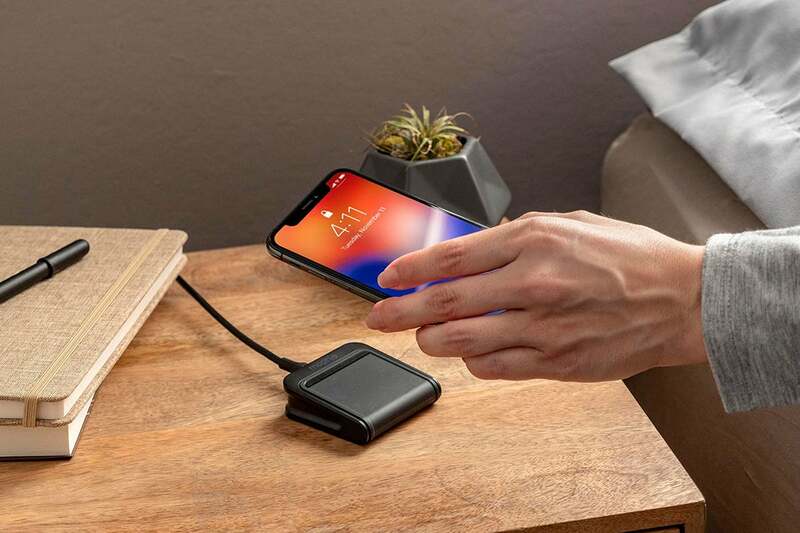 A best seller on Amazon.com, the Anker wireless charging pad features temperature controls so the pad won’t overheat and a “power-efficient” idle mode that shuts it down so it won’t overcharge your battery or waste energy. Its LED indicator light is also intelligent: Red means it's ready to charge, blue indicates it is charging, and both colors together let you know your device is fully charged. 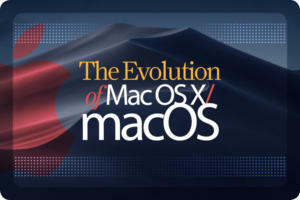 Blinking lights mean an unsupported device has been detected. Anker does warn that phone cases should be removed to ensure effective charging. Price: $19. If wood is your thing, then you might want to check out the Yolike wireless charging stand. No, it’s not really wood, but the synthetic material does mimic the look nicely. 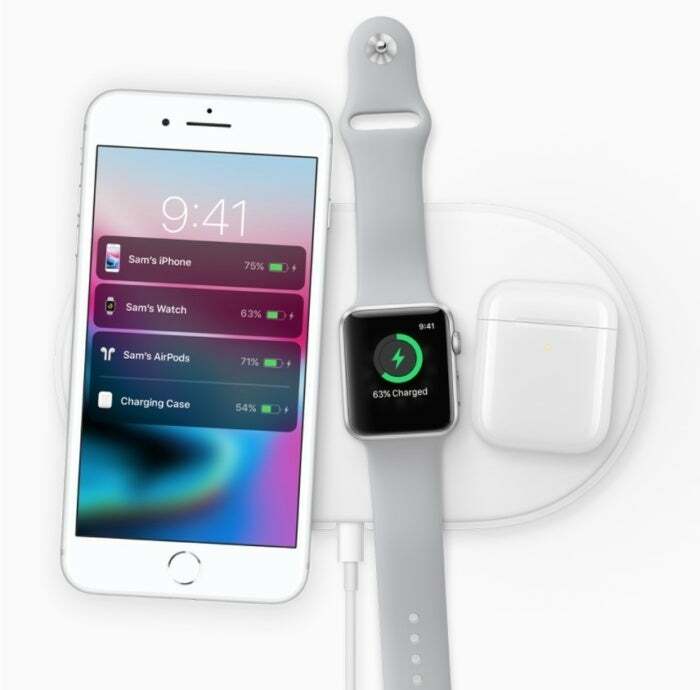 In addition, two wireless charging coils allow you to position your iPhone X vertically or horizontally and it supports up to 10W output. On top of that, it sells for only $18. 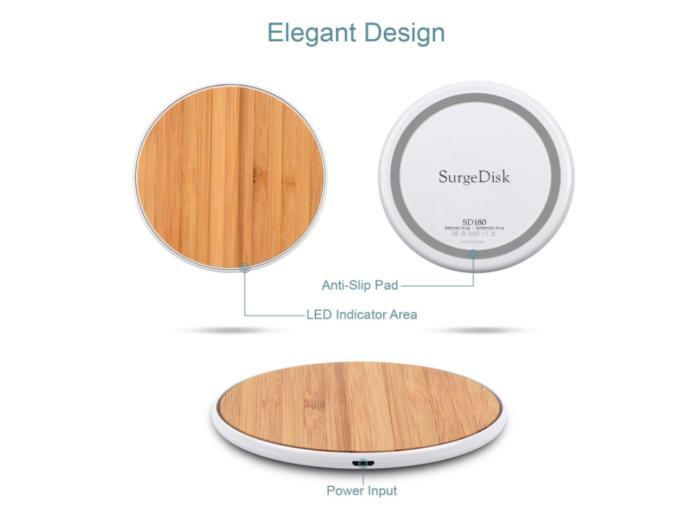 Continuing the wood theme, SurgeDisk has produced a comely charging pad with a real bamboo surface. The company also claims its LED charging indicator will help you sleep as it uses a soft white light and not a red, green or blue LED. Price: $30. 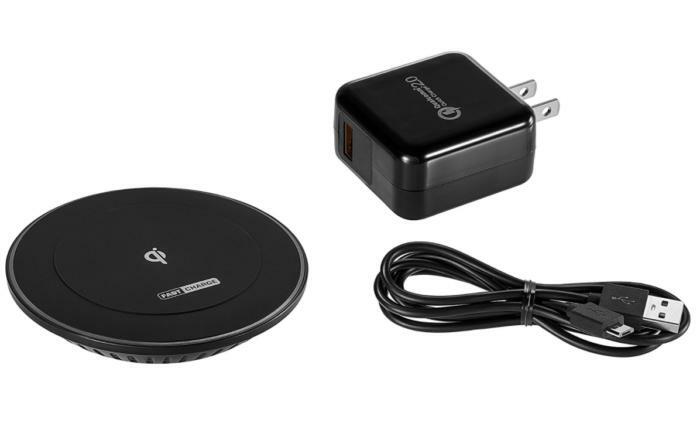 The Insignia wireless charging pad has three features in particular that set it apart; the entire outer edge of the charging puck is an LED light, so it’s easy to see when your phone is properly aligned and charging, and it even indicates if the device can take a fast charge or not; the bottom is vented to allow heat dispersal; and it offers up to 15W of charging power, so you’re future proofed against software upgrades from Apple for faster charging in the future. Price: $30. 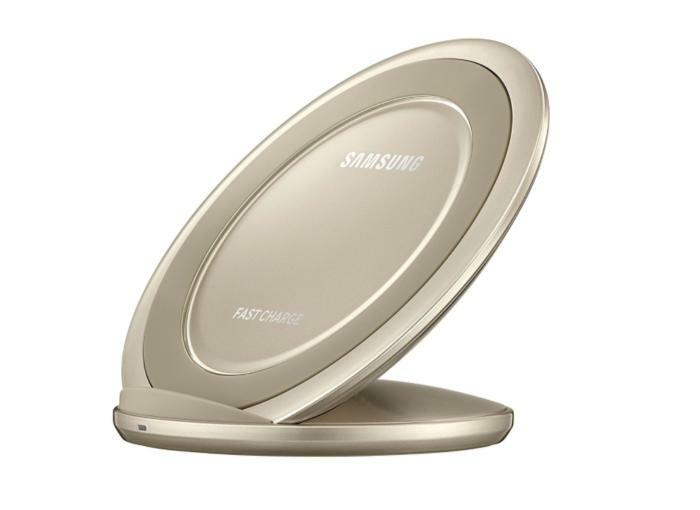 If you like big-name electronics to compliment your Apple device, then the Samsung Fast Charge Wireless Charging Stand should be on your list. The stand, which is quite stylish, is created by two circles coming together at a 23.5-degree angle. The stand comes in white, black, gold and silver colors. It’s a bit pricier than others at $60 but it’s on sale now for $32. 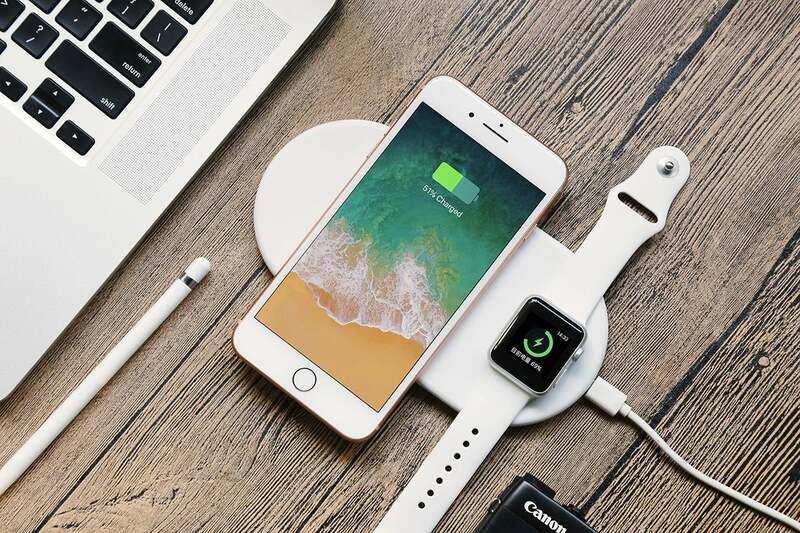 Belkin, a solid name in electronics, claims it worked “closely” with Apple designing its 7.5W Boost Up wireless charger so that it won’t overheat or shutdown prematurely. 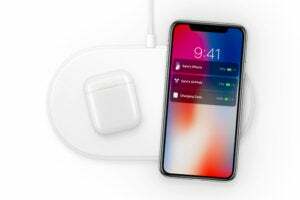 The charger is compatible with the iPhone X, iPhone 8 Plus, and iPhone 8 or any other Qi-enabled device. A small LED light indicates when it’s wirelessly connected to a device for charging. The biggest drawback? Belkin’s charging puck will set you back $60. The Mophie wireless charging base is also a brand that Apple supports in its online and brick-and-mortar stores. 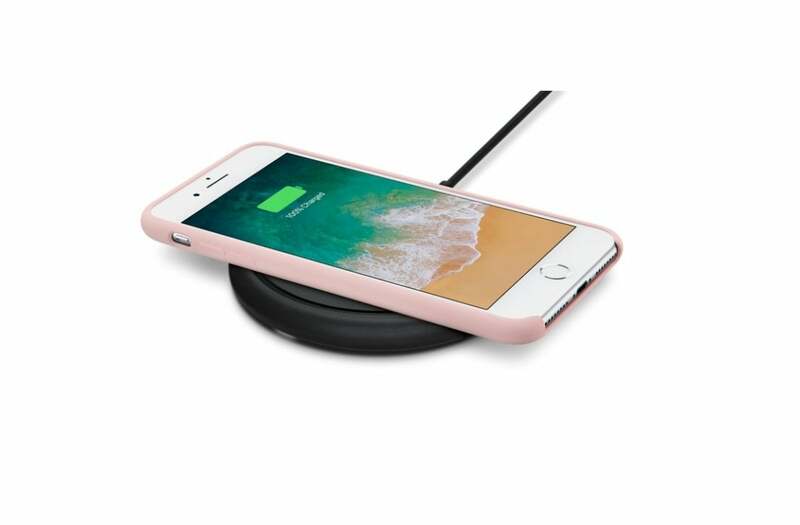 It’s a no frills puck that offers up to 7.5W of charging power and a non-slip coating that protects the iPhone from scratches and provides a stable surface to quickly drop and charge. Price: $60. 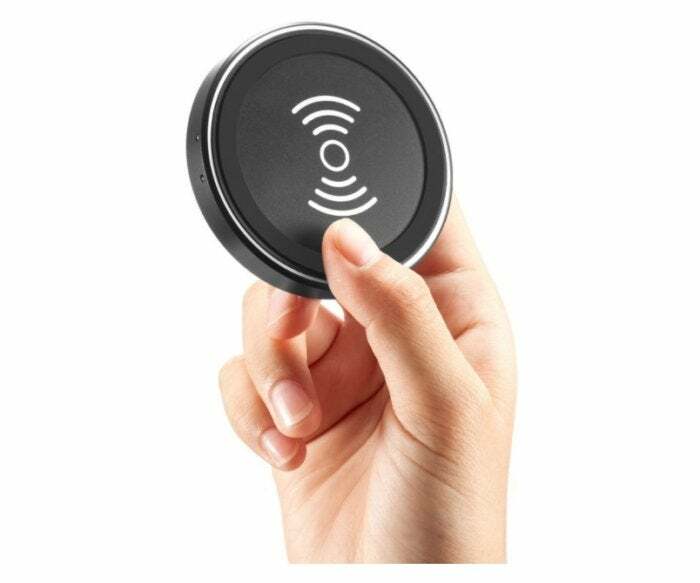 Another Indiegogo crowdfunded wireless charger is the Funxim Charging Pad. So called 10-watt "fast charging" is supported. And it's only $32. The Mophie charge stream travel kit includes the charge stream pad mini, a 2.4A wall charger, a 2.4A car charger, and a 4.9 ft USB-A to Micro-USB cable and it all its into a travel pouch for $49.95. The charge stream pad mini may also be purchased separately for $24.95. The charger, however, only delivers a 5W (slower) charge to any Qi-enabled smartphone and it will charge through lightweight phone cases (up to 3mm thick). 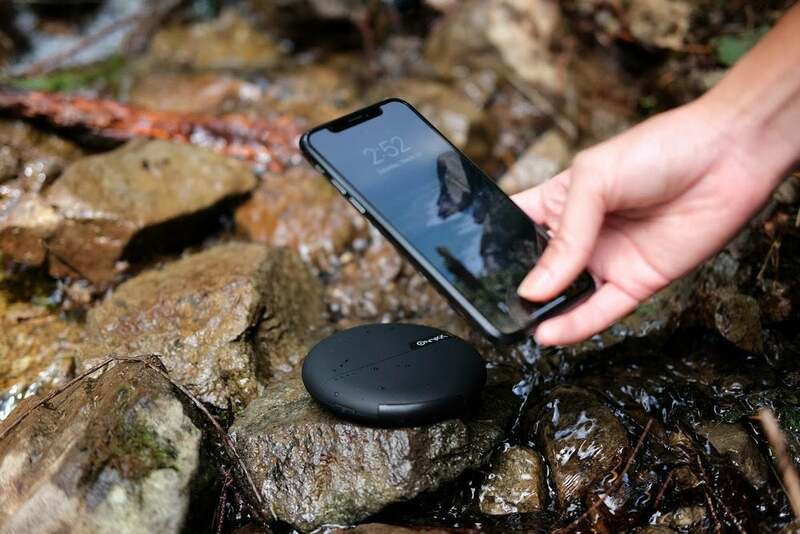 This Kickstarter project is offering a fast (10 watts), water resistant, wireless charging pad and power bank with Type-C USB cable compatible with Qi wireless charging. Dual USB ports enable two electronic devices to be connected and charged simultaneously. The power bank carries up to a 5,000 mAh charge, which theoretically can fully charge an iPhone twice. If you offer up a minimum pledge or $49, you should expect to receive your charger in September when the first units are planned to ship. 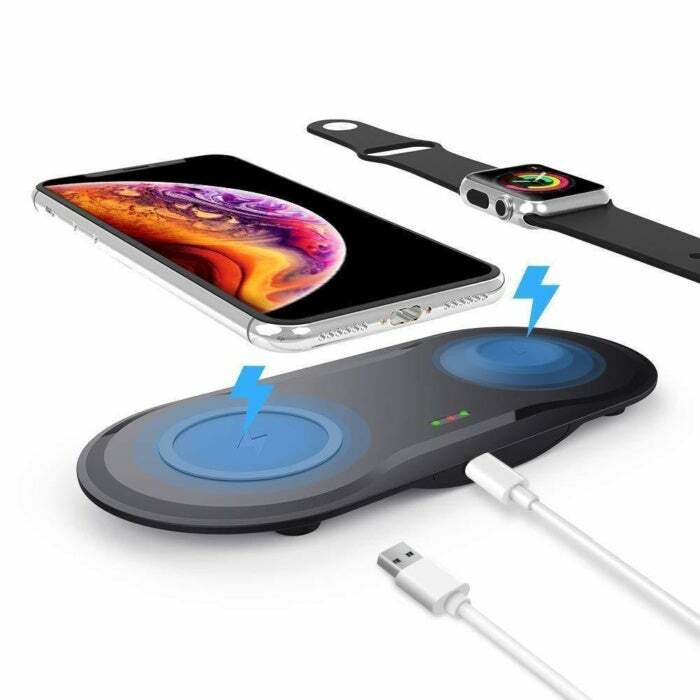 ZealSound claims its dual wireless charger can adjust its output to match the mobile device, whether an Android or Apple smartphone or an Apple Watch. 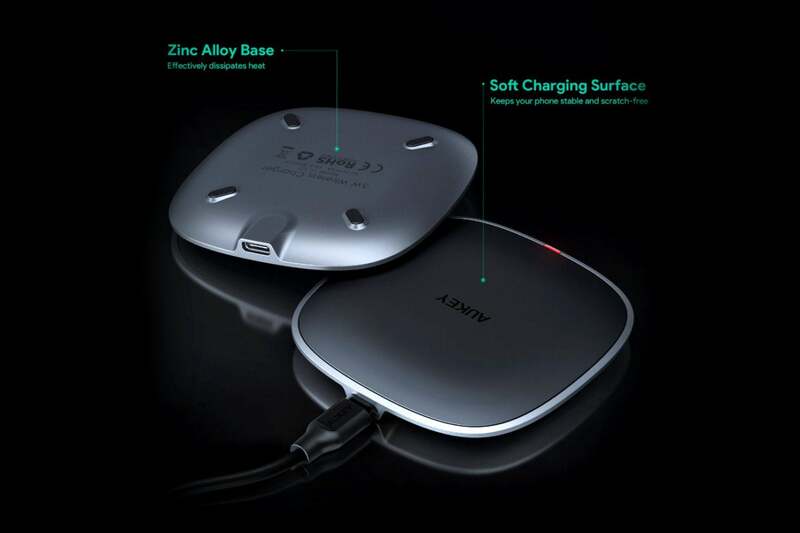 The pad has two charging surfaces that transmit 10W, 7.5W, 5W or 2.5W of charging power. ZealSound states its charging pad can charge any Qi-enabled device 15% faster because of its "highly efficient components and advanced chipset." The pad comes with a 3.3-ft USB charging cable. The price: $40.